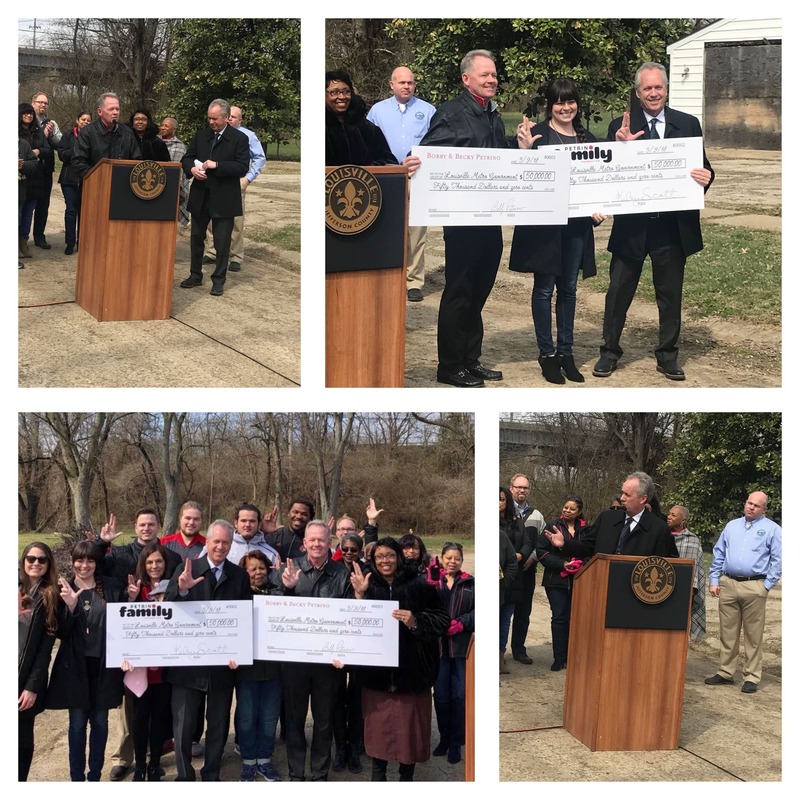 LOUISVILLE, KY (March 9, 2018) –Mayor Greg Fischer joined with U of L Football Coach Bobby Petrino today to announce plans for a special flood relief fund to help aid families who have been hit hard by the flooding. 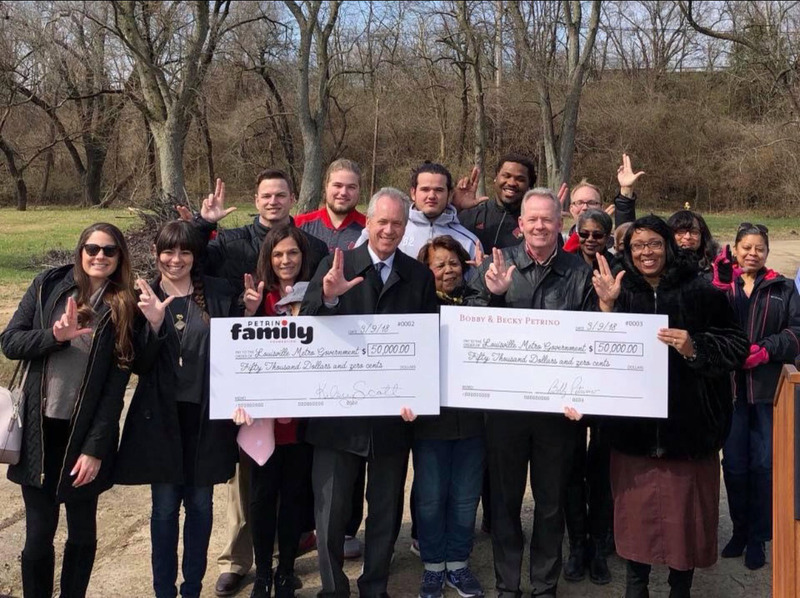 The fund was created with a $100,000 donation from Bobby and Becky Petrino and the Petrino Family Foundation, as part of its #LoveLouisville campaign, and will go to families displaced by the flood, as well as to help people cover some of their clean-up and recovery costs. Households that meet income eligibility requirements and other criteria can get up to $1000 to cover emergency expenses caused by the flooding. This program will be coordinated through the Neighborhood Place system, which is administered by the city’s Office for Resilience and Community Services. In order to qualify, applicants must be Jefferson residents with a household income at or below 80 percent of Area Media Income (AMI) and must have been living in their home as a primary residence at the time of the flood. The funds can be used to cover the first month’s rent and deposits up to $1,000 for displaced families who are in need of a new or temporary residence. Funds may also be used to purchase cleaning, household or other emergency supplies. Residents who want to apply can contact MetroCall 311 by simply dialing 311 or 574-5000, email metro.call@louisvilleky.gov, visit the website’s On Line Customer Service or Live Chat at www.louisvilleky.gov/metrocall, tweet @LouMetro311, or download the free Mobile 311 app from the website. Be prepared to leave your name, address, phone number, email address and what type of assistance is needed. Within 48-72 hours, a staff person with Neighborhood Place will contact all applicants. Applicants will be served on a first-come, first-served basis. “The #LoveLouisville campaign was started as our way to attempt to speed more love and unity around the city of Louisville. Acknowledging that one of the ways to do that is by extending a helping hand to those in need, and after seeing some of the devastation caused by the recent flooding, we knew we needed to do something. By working directly with City leaders, I believe we have come up with a plan that will help those most affected by the flooding feel some of that love we are trying to spread,” said Kelsey Petrino Scott, Executive Director, The Petrino Family Foundation. The city has also applied for assistance from the state and Federal Emergency Management Agency to help recoup the millions of dollars in damages and response and recovery costs.